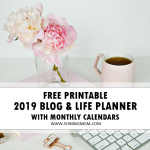 Start the Year Right with this January Planner! Happy New Year, friends! I am so, so excited for this year! Just like you, I have big dreams and targets for the year 2017 and now is the time to roll up our sleeves to achieve our goals! And for us to do that, let us clearly map out our January plans. 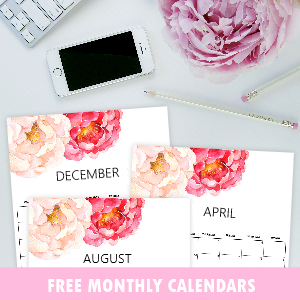 I have a pretty printable monthly planner that you can use outright. 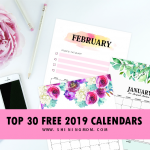 You MUST snag this FREE copy! 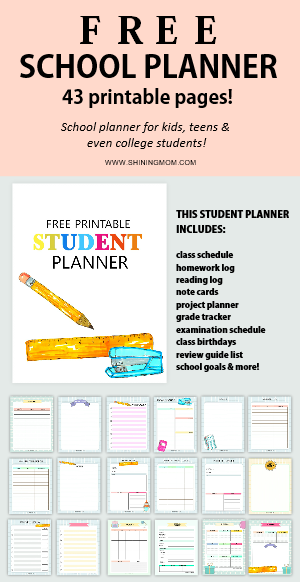 The Shining Mom Traditions: Weekly Freebies and a New Planner Design, Monthly. 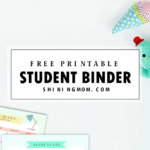 Before I show you the design of your freebie today, let me tell you a little about what we’ve been doing here on Shining Mom. This is for all those who have reached the blog just now. 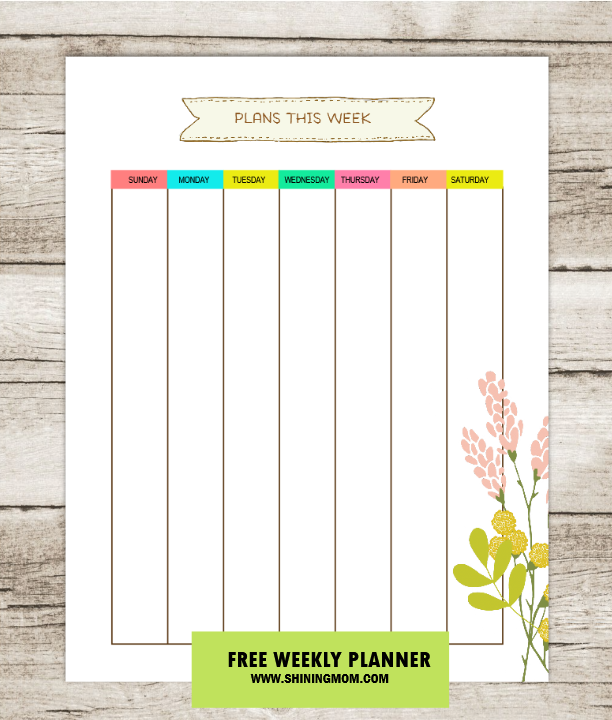 Firstly, please know that I do release printables weekly for my Happy Freebie Monday segment. Yup, that’s right! Every Monday, I share fresh freebies for all of you to enjoy! 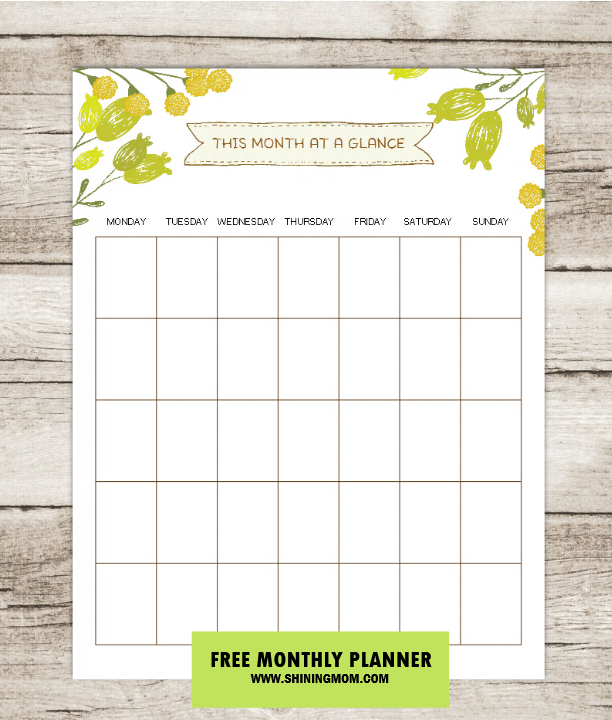 Aside from the freebies I share weekly, I also do release a free planner each month! 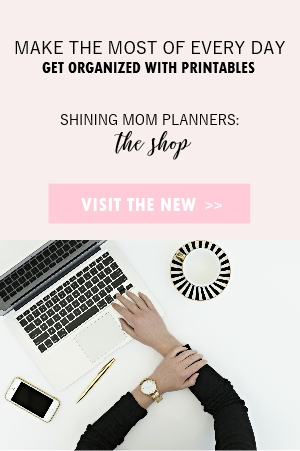 Releasing a freshly designed monthly planner has been running quite long here on Shining Mom. 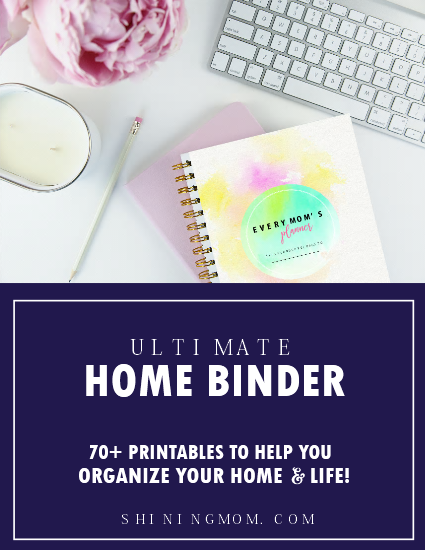 It has been a tradition that I give away a newly designed planner to help my readers stay organized, hence be more productive. 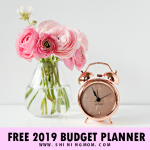 The free planning pages for January that I am sharing today come in cool colors and refreshing graphics (Thanks to DesignCuts toolkit, creating these pages have been so fast and easy!). 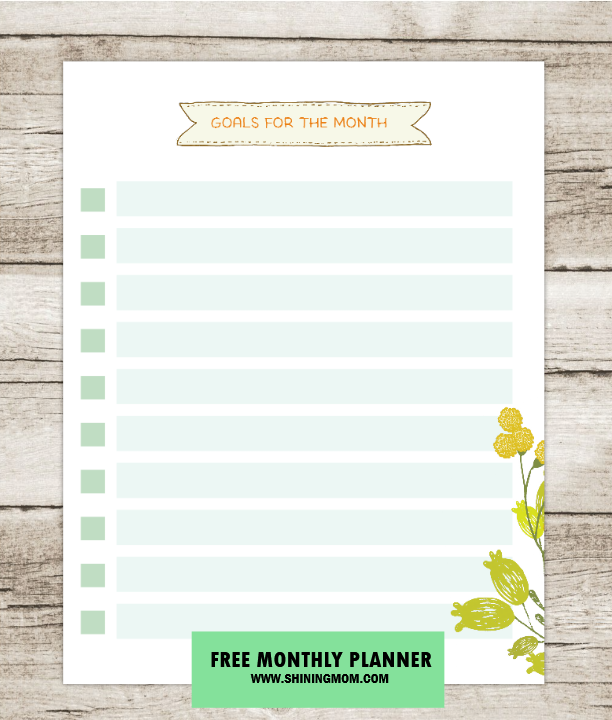 The pages look so with truly functional layout to help you manage your month! Here’s the cover page. It comes in a fresh burst of colors adorned with a lovely bunch of flowers! There are two covers that come with this planner, actually. The other one that you’ll be seeing in your download is just as pretty but lesser on ink! What are your January goals? Write them here and you’re on your way to work smarter to achieve them! 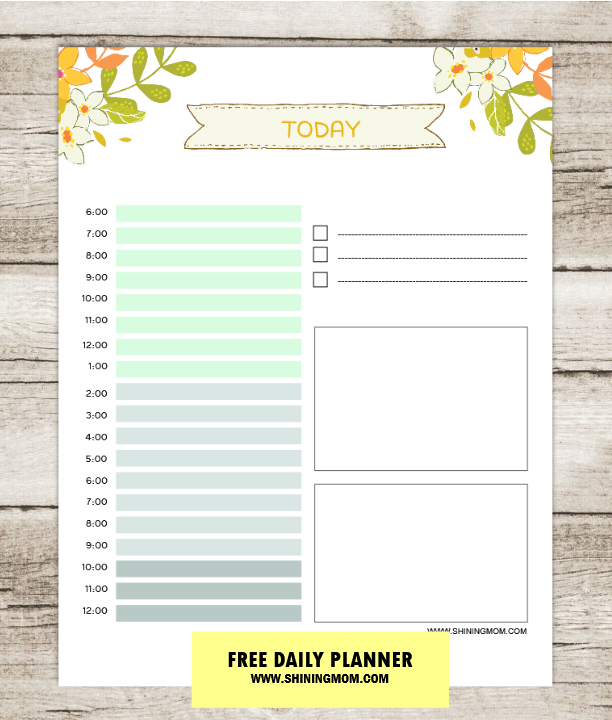 Use these next two pages to plan your days! What are your activities for the week? 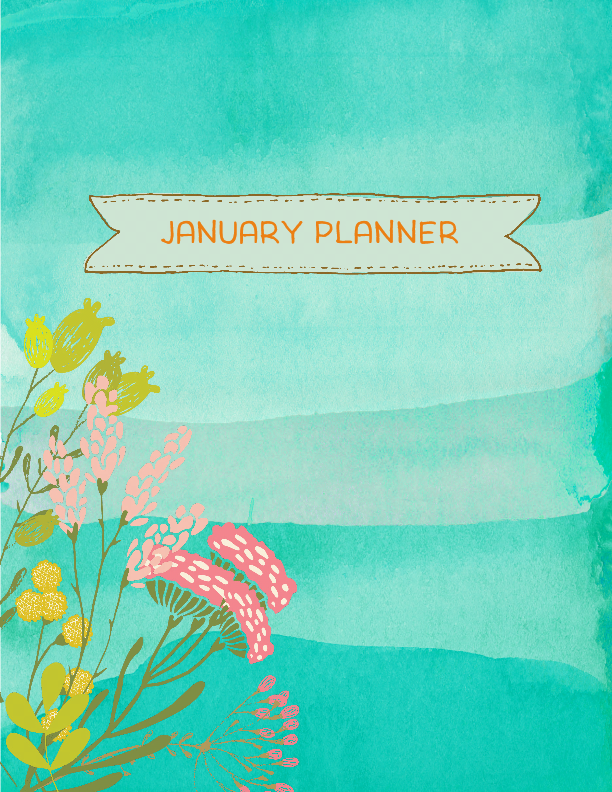 Here’s a pretty page that you can use to plan your activities for all the weeks of January! Write your schedule for each day of the month in this nature-inspired page. 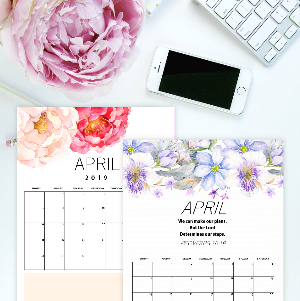 Should you like a dated monthly planner, I have designed a dated set which you can also print and use for free! Find them here! That’s it! 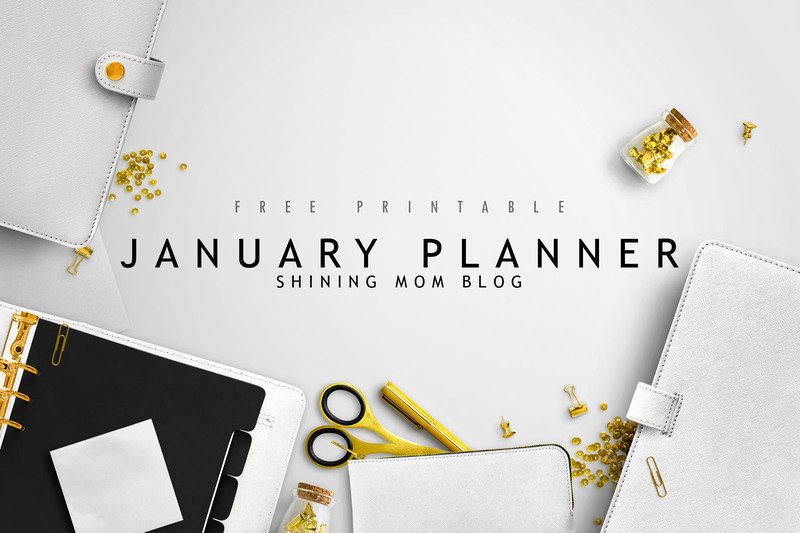 Six practical and functional planning pages for January! 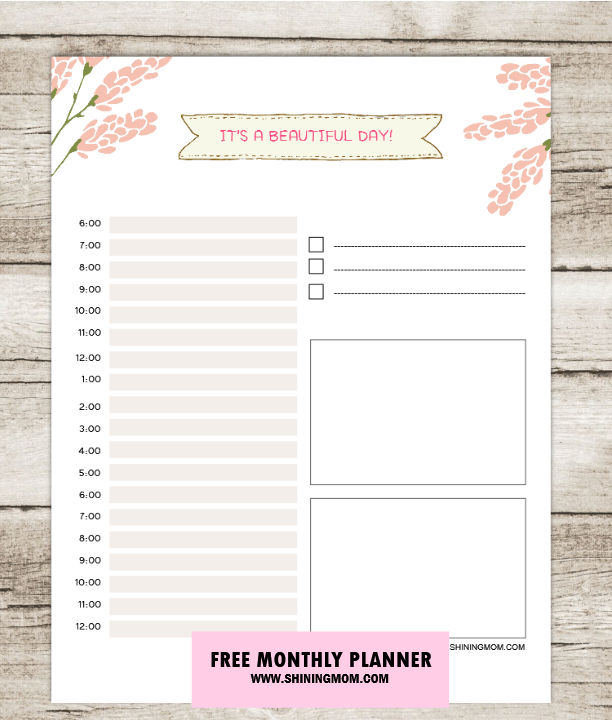 How do you find this free printable monthly planner? If you think you can use it, hop over HERE to snag your copy. The planner is designed to be printed in standard letter-size paper. 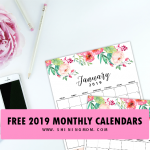 Also, in case you’re in need of January calendars, I have a dozen of designs for you to choose from which you can also use for free! 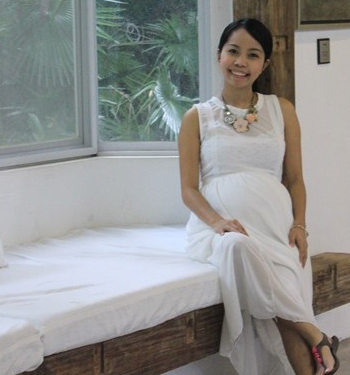 Meanwhile, I would also like to share with you the links to Shining Mom’s tending posts these days. 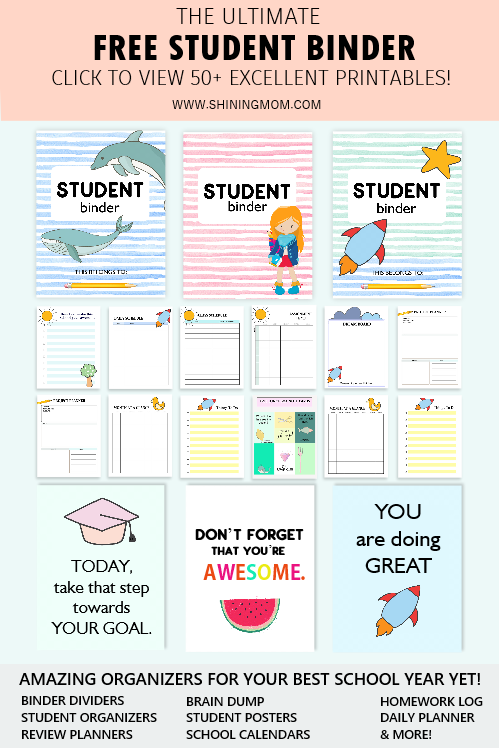 You may also like to enjoy these free printables! Happy New Year, friends! Let’s all have a great 2017!